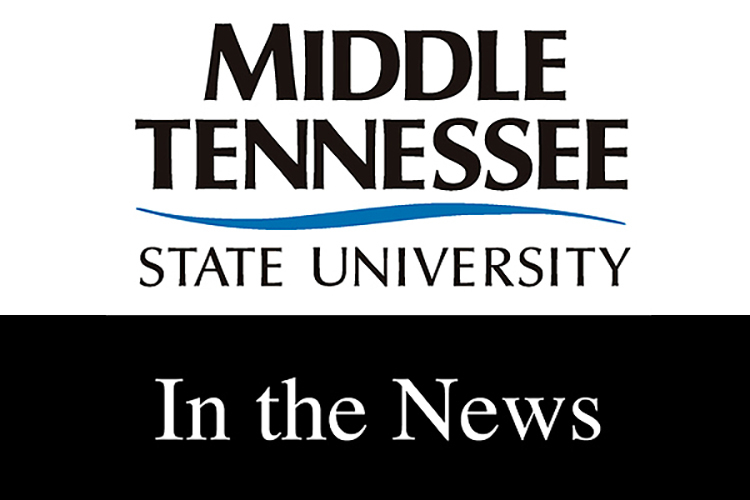 National media agencies recently quoted MTSU faculty experts on a diverse array of topics, including politics, economics, basketball, journalism, data analytics, religion, jazz and concrete. Dr. Heather Brown, chair and professor of the Department of Concrete and Construction Management, commented on a generous donation to the department from Irving Materials Inc. in an Aug. 17 story by Concrete News. The article can be read here. Dr. Amy Harris, an associate professor of information systems and analytics, discussed local schools’ production of data analytics workers for an Aug. 20 story in the Nashville Post. Her views are available here. Dr. John Vile, dean of the University Honors College and a political science professor, was interviewed about a state law that requires “In God We Trust” signs in Tennessee public schools. The report aired on WZTV-TV in Nashville and WTVC-TV in Chattanooga. The transcript can be read here. Vile also analyzed the national political scene on NewsChannel5+’s “Inside Politics” program Aug. 24. The video is accessible here. Dr. Larry Burriss, a professor of journalism, discussed “fake news” and how to determine what is true in news reporting on NewsChannel5+’s “Morning Line” program Aug. 22. The video is available here. Dr. Sisavanh Phouthavong-Houghton, an associate professor of art, created the cover art for Bryan Thao Worra’s new book of poetry, “Before We Remember, We Dream.” The story was reported by Asian-American Press Aug. 22 and can be accessed here. Dr. Joshua Grinath, a postdoctoral assistant in biology, took part in a study on the beneficial impact of droughts on biodiversity, which was reported by The Daily Californian for an Aug. 23 story, which can be read here. Dr. William Levine, a professor of English and jazz aficionado, was interviewed about the cross-pollination between country music and jazz music in the Nashville market for the public radio program “Jazz Night in America.” The program aired Aug. 23 and can be heard here. Kent Syler, a professor of political science and international affairs, assessed Republican Bill Lee’s campaign for governor of Tennessee for the Aug. 24 edition of the Nashville Ledger. His comments can be read here. Syler also analyzed Arizona’s races for the U.S. House of Representatives in an interview posted at www.azfamily.com Aug. 27. His views are available here. Dr. Colby Jubenville, a professor of health and human performance, previewed his upcoming Oct. 18 speech on personal brands and relationships at the 2018 SGIA Expo’s Functional Printing, Process and Products Luncheon in Fairfax, Virginia, for an Aug. 24 post at www.whattheythink.com. The story is available here. Dr. Andrew Dix, an associate professor of communication studies, explained his research into the frequency of fouls called on women basketball players at historically black colleges and universities for the Aug. 24 edition of www.dailymail.co.uk. His comments can be read here. Dr. Andrei Korobkov, a professor of political science and international affairs, assessed the impact of the Trump administration’s policies on economics at home and abroad Aug. 27 for www.wallethub.com. His analysis is available here.